pesky critters that send shivers down your spine or have created issues in your home or place of business. There's so much more to know about bugs, insects, and rodents and how to safely remove them than grabbing an overthecounter spray can or other solution. I'm a pest control expert with over 30 years experience in the industry, including serving as an instructor to other expert exterminators. In addition, I was fortunate to assist in field trials of new industry compounds used in pest removal. This gives me experience, knowledge, and an upper hand that most other pest control companies do not have. As an avid flyfisherman and one who appreciates the beauty of our state and being attentive to the health of my family and yours I choose the compounds we use very carefully. Everything my team uses is applied with the greatest regard for the longterm health and safety of the environment, your family, and pets. At Chaney Pest Elimination we set the highest standards in the industry, giving you confidence that we’ll take care of you. A locally ­owned business should never mean inferior quality or professionalism. With decades in the industry and unmatched experience, my team strives to be the best in our field. Bottom line: we keep the pests at bay while giving you top­ notch service you can rely on. We can handle all your pest control needs, whether it’s a current, specific issue or you’re looking for prevention solutions. We have a package that works for you. We will clearly communicate the expectations you should have pertinent to your situation before we begin treatment and we always stand by our work. WE OFFER PACKAGES FOR RESIDENTIAL & COMMERCIAL! Because of my extensive experience in the industry, an in­depth understanding of the chemicals and compounds used for pest control, and my ability to train others, we can offer a full range of services. Whether it’s removing a nuisance, eliminating an infestation, or creating a prevention and maintenance plan, Chaney Pest Elimination offers complete pest control services in Colorado Springs, Woodland Park, and the surrounding Pikes Peak region. No one wants to feel a bug crawl across their arm in the middle of the night or wonder if that mouse you saw out of the corner of your eye is running solo or with a pack. That’s why my team provides a 3­phase inspection of your home. Pests can create health and sanitation issues for any business. We practice Integrated Pest Management (IPM) principles, an ecosystem­based strategy that focuses on long­term prevention of pests or their damage through a combination of techniques. Chaney provides pest control and inspection services for prospective home buyers and realty professionals around the Pikes Peak region. Fast service is a must when dealing with the purchase of a new home. Chaney can determine whether the house is pest free of wood destroying and general insects and whether it’s ever had a pest problem in the past. If it moves or crawls, even flies, we most likely can handle it; there’s nothing in this industry we don’t know. Even with Colorado’s altitude and dry climate, pests are still a big issue in our area. Some of the most common bugs we deal with are Bed Bugs, Ants, Stinging Insects, Spiders, Rodents, and Termites. Be sure to visit our gallery for more information on the various types of insects and pests common in the Pikes Peak region. We have been using Chaney Pest Elimination for a while now and cannot say enough great things about John and his company! Prompt, professional, thorough, and genuinely one of the nicest people you will ever meet and do business with. If you’re in need of pest controld, Chaney is the best in the business and we will never use anyone else!! Professional and fast service. We tried just about everything we could buy to get rid of carpenter ants, no luck. We took a recommendation to try Chaney Pest Control, so happy we did! With one application, we were amazed at the results and so happy to have been rid of those pesky destructive creatures. Thank you! Thanks John for great service and attention. Truly amazed at the difference your services have made for us, didn’t realize the benefits of having insect treatments done. Thank-you for your attention to detail and for considering our 4 legged kids during your inspection and treatments of our property. Highly recommend signing up with Chaney Pest Elimination. John Chaney, the owner, is very professional and quick! He offers excellent customer service and has extensive knowledge of all of your pest control and elimination needs. I would highly recommend Chaney Pest Elimination for both home and commercial properties. 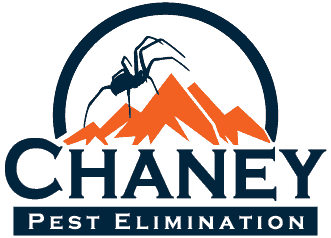 no more… no more ants…spiders gone.It’s nice to have a pest co. Do what they say..thanks chaney pest elimination. So happy to have contacted Chaney Pest Control! The lack of worry, and spiders, has just been great! Corporate User. We have used Chaney Pest Elimination for a while now we have noticed a significant change in pests and rodents in our building. We appreciate John’s efficiency and attention to detail to take care if our needs. Took care of all of our problems! Friendly and knowledgeable, would recommend to anyone! Friendly, honest and does a great job! John Chaney is a pest control expert. He spent so much time in the industry testing and developing products, he doesn’t even waste his time with products that don’t work. He’s also extremely careful not to use products that will poison your pets. John understands how to remove all sorts of rodents, insects and termites. Highly recommended.